Before we throw ourselves into the festivities happening around the island this month, we better refresh our recollections of the significance of the occasion. We (Aruba) have our own national flag and anthem, and this year, we’re celebrating forty years of freedom, identity, love for our Dushi Tera! Here’s a little crash course to get us all in patriotic mood. Aruba’s national flag is blue as the immense ocean that surrounds the island. The color yellow represents abundance and the two horizontal lines stand for solidarity. Yellow is also for the gold and aloe of Aruba’s past industrial era, and the flowers of the Kibrahacha, Brazil, Bonchi di Strena, Curahou, Tuturutu and Wanglo. The red star points to all four directions of the compass, symbolizing the island’s community originating from all the corners of the world. Red serves as reminder of the Brazilwood dye production period. Red also pays tribute to the native Aruban blood spilled at Frenchmen’s Pass. 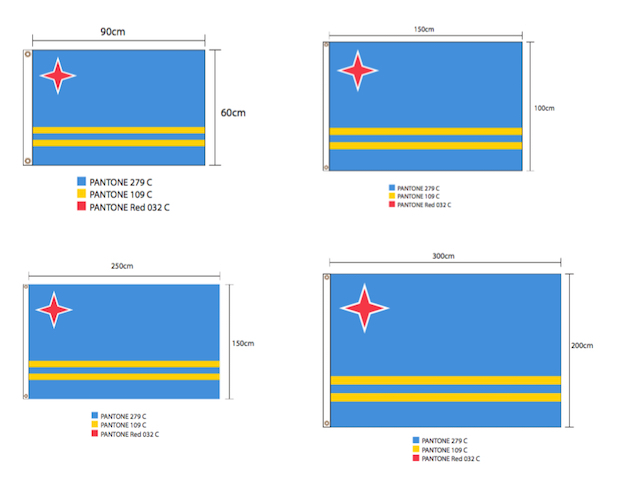 The white line around the star is fine and pure, resembling Aruba’s beaches and its people. The national anthem “Aruba Dushi Tera” is a waltz written by Juan Chabaya “Padu” Lampe and composed by Rufo Wever (1917-1978). Hubert “Lio” Booi (1919-2014) wrote the last verse. 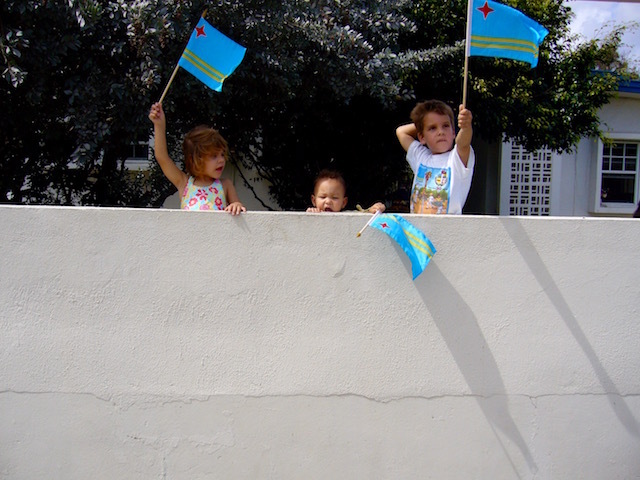 On Friday, March 18, 2016, Aruba celebrates 40 years of its National Flag and Anthem. And I can’t wait to hear the modernized versions, just recently produced by the island’s most talented musicians, vocal artists and producers. In the meantime, let’s decipher those lyrics. but yet you are respected. that nothing can destroy it, that nothing can destroy it. is the proudness of us all! 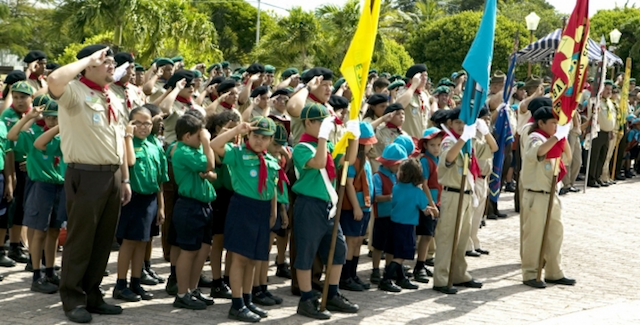 While the island is bustling with formal ceremonies, festivals, flea markets and parades, visitors can join in or arrange their own special homage. At the Manchebo Beach Resort & Spa there is plenty ‘couleur locale’ to take in. 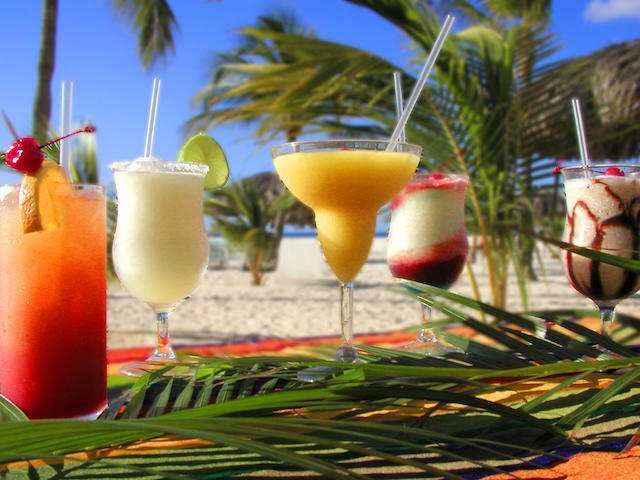 Try Pega Pega Beach Bar’s Aruba Ariba cocktail, or just ask for the bartender’s Local Blends and Mixes, and let the steel pan drums kick in. One of Aruba’s most treasured local restaurants can be your guide during this month’s celebrations. The Local Menu at The French Steakhouse offers a modest but succulent selection of traditional recipes like Keshi Yena (richly stuffed and baked Gouda cheese), Keri Keri Cakes (flavorful fish cakes with hot papaya sauce) and the perfectly prepared Catch Of The Day with fried funchi (polenta), plantain, Creole fried rice and sauce. Gear up at Manchebo’s Souvenir & Gift Shop, conveniently located in the lobby. 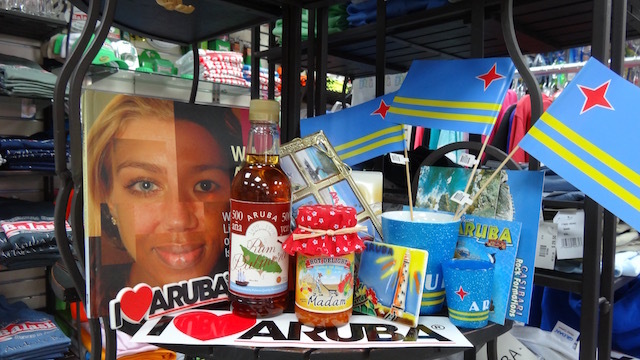 They have an impressive collection of authentic Aruban memorabilia, locally made products, I Love Aruba collectables, anything you need to blend into the island’s colorful festivities.